Flood and drain (or ebb and flow) hydroponics systems are easy to build but how often to Flood? As with other types of gardening, there are no hard-and-fast rules. The goal is to flood the plants for a specific period of time, drain, and then re-flood them before the grow media dries out. This ensures that the plant roots are fed constantly from the damp, nutrient-saturated growing medium. Flooding more often or for too long can drown the plants. On other hands, not flooding enough can dehydrate them. 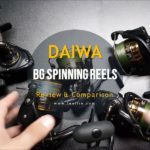 It all depends on different factors which we will discuss in detail here. 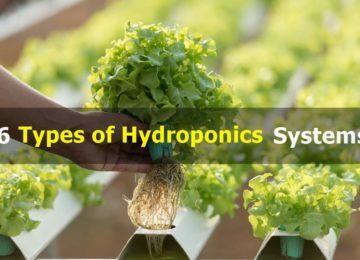 How many times you will need to flood and drain (the number of “cycles”) depends on several factors which will vary from one hydroponic garden to the next. 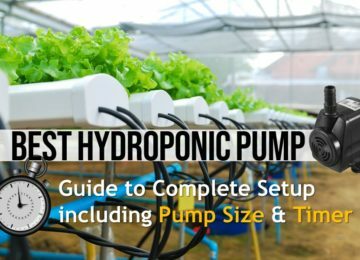 Here we look at what these factors are to help you estimate how often you will need to flood and drain your own hydroponics garden. Once you get growing, observe your plants and tweak your flood and drain cycles to perfection. As you can probably guess, a key factor affecting flood and drain times is the size (“biomass”) of your plants. All plants evaporate (“transpire”) water into the atmosphere through tiny holes in the undersides of leaves, called stomata. In response, the roots draw in more nutrient-carrying water which likewise travels up the plants and eventually transpires out the leaves. This process (“transpiration”) is essentially how plants feed themselves. Larger plants have more stomata so they lose more water to transpiration. It is up to you to make sure more is available at the roots! In other words, the larger your plants, the more times you need to flood and drain your hydroponic garden. Of course, as your plants grow you will need to flood and drain more often. 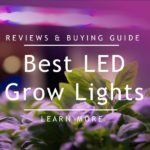 When estimating flood and drain times, consider the strength, proximity, and duration of light, particularly if your hydroponics system features powerful artificial lighting such as grow lights. Light affects transpiration rates and therefore how often you will need to flood and drain. Light not only stimulates the stomata in the leaves to open but its warmth speeds up the evaporation of water exiting the stomata. 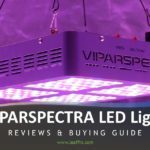 The stronger, closer and longer the light source, the more times you will need to flood and drain your hydroponics garden to make up for water being lost through the leaves. As mentioned, the warmth of light on the leaves speeds up evaporation. However, other factors such as climate and domestic heating systems may create a hot atmosphere for your hydroponics garden – and accelerate water loss through transpiration. You may also need to adjust flood and drain times throughout the year, to suit seasonal variations in temperature and humidity levels. Plants transpire more easily in dry atmospheres which, like dry sponges, easily soak up water vapor transpiring from the leaves. You will need to flood and drain your hydroponics system more often if the atmosphere is drier. On the other hand, humid atmospheres are already fairly or heavily saturated with water and act like a wetsponge.. This hampers transpiration so you will not need to flood and drain so often as in dry atmospheres. You can use a variety of grow media in your flood and drain system, from expanded clay pebbles to Rockwool or coconut coir. However, each medium varies in terms of water absorption and retention rates. For instance, clay pebbles need both longer and more frequent flood and drain cycles than Rockwool because they absorb water more slowly and retain it for less time. The larger and deeper your hydroponics system, the less often you need to flood and drain your garden. 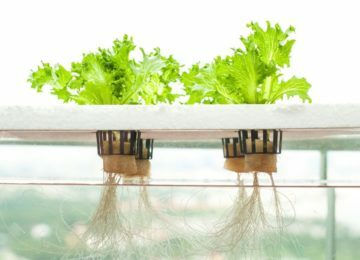 Most homemade flood and drain hydroponic systems are typically quite shallow. However, new-style, deeper systems are available which take longer to flood but considerably more time to dry out. In other words, deeper systems need less frequent but longer flood and drain cycles than conventional flood and drain systems. Some plants are naturally more thirsty than others, or prefer the “little and often” approach, and so on. Learn about the plants you are growing and increase or reduce how often and for how long you flood and drain to suit their watering preferences. If you are growing a variety of plants, you will need to tweak how often you flood and drain until you find a compromise that seems to suit them all. Alternatively, have separate hydroponics gardens containing plants with similar needs. Now you know which factors affect flood and drain times, you may still be feeling somewhat clueless about exactly how many times to flood and drain. Here are some broad guidelines for three popular types of grow media showing flood and drain times for seedlings/starter plants through to large plants. Think about the factors above. 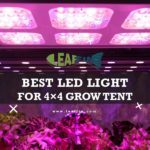 You should come up with an estimate for your own hydroponics garden that is a good starting point from which you can adjust flood and drain times up or down. To see how long it takes to reach the max flood height, start the flood cycle. Note that “day” means approximately 16 hours when the lights are on. Never flood and drain in the “lights off” period. Remember that these are guidelines only – feel free to flood and drain outside these ranges. For instance, if you are growing large plants in clay pebbles in a hot, dry, atmosphere with powerful lighting, you may need to flood and drain 9, 10 or even 15 times a day. Do not hold your flood cycle duration for longer than 10 minutes. Add 1 – 2 minutes to this time if using clay pebbles. 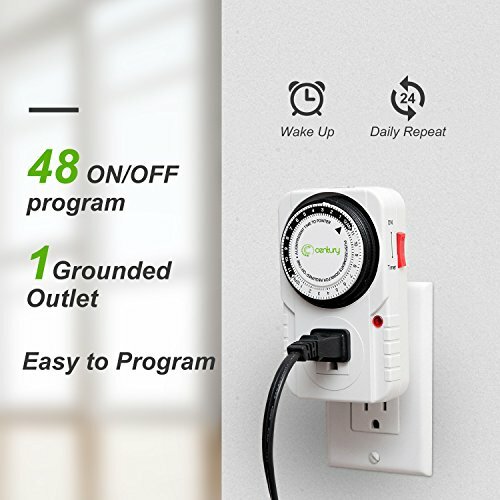 A mechanical heavy duty 15 amp timer is probably best to be used with your pump. 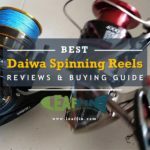 Check the price and more details here. Finally, err on the side of caution – never let your hydroponics garden dry out.